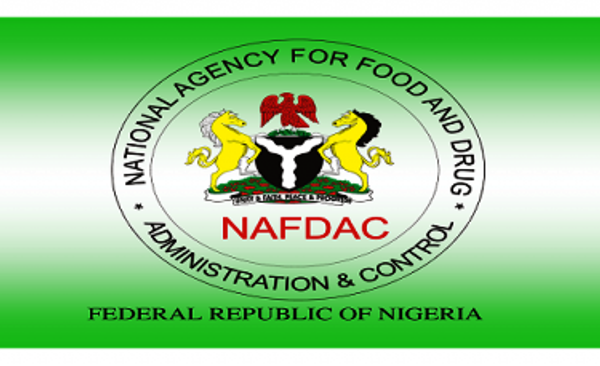 National Agency for Food and Drug Administration and Control (NAFDAC) has arrested three persons suspected to have imported packaging materials worth over N39m intended for the marketing of fake products which are capable of causing infertility and unwanted pregnancies in women. Announcing this was the Director General of the agency, Dr. Paul Orhii, in a media chat on the activities of his organisation, Wednesday, at the Oshodi corporate head office in Lagos. One of those arrested include Mr. Nwachukwu Odinaka of No. 13 Isa Street, Igando, Lagos, who was alleged to have imported counterfeit Postinor-2 tablets through NAHCO shed, Murtala Mohammed International Airport, Lagos. The following were said to have been found with him at the time of arrest: three cartons of Postinor-2 tablets and three cartons of Postinor-2 packaging materials. The product label indicates that the product was manufactured in Hungary whereas the consignment was imported from China. A total of 150,000 pieces of Postinor with an estimated market value of N37, 500,000.00 was impounded. The DG explained that the product, which is a contraceptive pill, when faked can lead to unwanted pregnancies, damage to the womb and adversely affecting the hormonal balance of the body. Also the agency arrested one Mr. Okwy Madu of No. 10 Oshineike Street, Ago Palace Way, Okota, Lagos for the alleged importation of packaging material for counterfeiting of Far Away Perfumes. According to Orhii, Madu, allegedly imported two cartons of 2,848 pieces of packaging material for counterfeiting ‘Far Away Perfumes’ through NAHCO shed, Murtala Mohammed International Airport, Lagos. The hard board packaging materials are valued at N 2.5 million. The packaging indicates that the product is manufactured in Mexico whereas they were imported from China. The next was Mr. Ikechukwu Valentine Anichebe, Managing Director, of Floxvik Queen Helene Company, No.6 Nnobi Street, Ipaye Iba , Ojo, Lagos, who was arrested for alleged counterfeiting of cosmetic products According to the NAFDAC boss, Mr. Anichebe, owner of Floxvik Queen Helene Cosmetics factory was duly recognized by the agency to produce Floxvik Queen, Helene Fair lotion 248 (ml) with NAFDAC reg. no 02-6498 and Floxvik Queen Helen Shower Bath 1 (It) with NAFDAC reg no. 02-7223. However, he was caught with three packages, suspected to contain cosmetic labels for unregistered Olay Goat’s Milk, Olay Carrot and Olay Lightening Shower Cream at NAHCO, Orhii said. Further investigation led to his factory located at the same address where he manufactures counterfeit cosmetic products which has been sealed. Recovered products include: 18 cartons of Olay Carrot Complexion Solution , Dr. Miracles Complexion, 11 pieces of Clarifying Shower Milk; one carton of Dr. Miracle Toning Formula Lotion. The Dr. Miracles Complexion Clarifying Shower Milk is purported to have been manufactured by Floxvik, Laboratories INC. Hemp Brown, 109523 Hepstate NY, Made in USA, while the Olay carrot complexion solution is made in Ireland, with distributor as Procter & Gamble , Cincinnati, OH 45202 as address. But they are all manufactured in Nigeria by Mr. Ikechukwu Valentine Anichebe, the DG said.